When it comes to teaching children with hearing loss to listen and speak, we’ve come a long way since the 1990s. 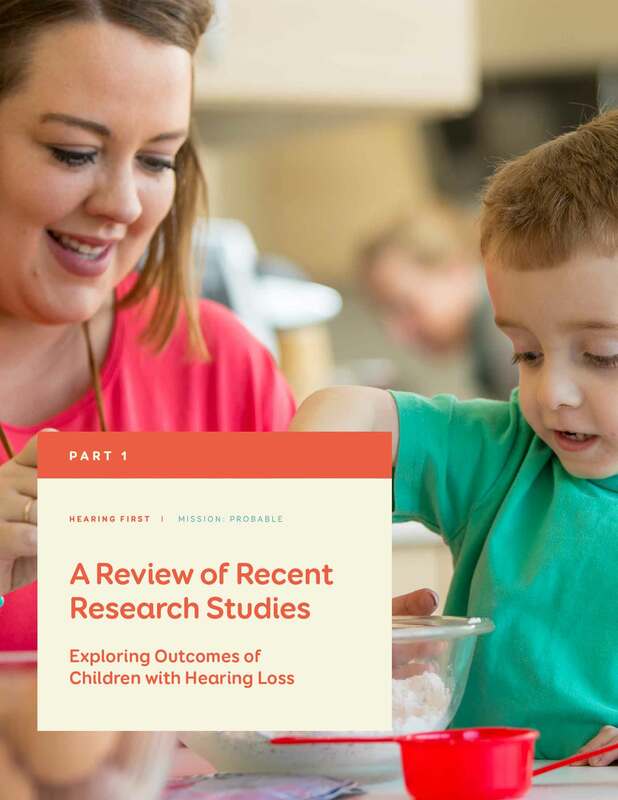 Before the widespread adoption of the newborn hearing screening, advancements in hearing technology, and the proliferation of Listening and Spoken (LSL), our opportunities to help children born with hearing loss were limited. Since then, changes in the hearing healthcare landscape have transformed the lives of thousands of children. Professionals, parents, and family members have seen the impact of these changes in their daily lives, but not until today have we had empirical research to confirm it. 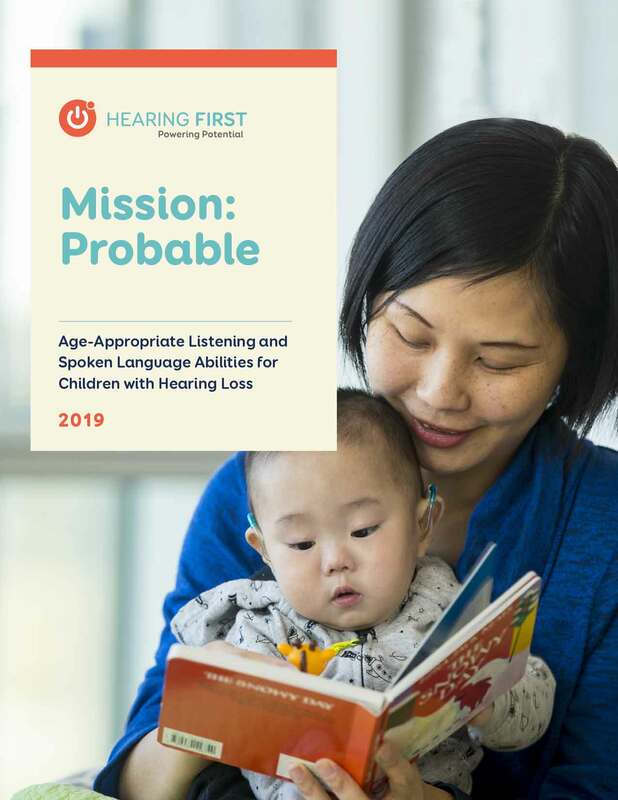 In Hearing First’s latest white paper, Mission: Probable: Age-Appropriate Listening and Spoken Language Abilities for Children with Hearing Loss, leading research scientist and audiologist, Dr. Jace Wolfe, analyzes the results of recent studies and puts them in context for professionals and parents. Today, excellent listening and spoken language outcomes are not only possible, but probable for children born with hearing loss. Verify your email address for an instant download of Mission: Probable: Age-Appropriate Listening and Spoken Language Abilities for Children with Hearing Loss now. ©2019 Hearing First. All Rights Reserved.